The older man in the Kovan double murder died from a slit throat, while his son died from a stab to the neck that damaged three major blood vessels, a forensic pathologist said yesterday. Dr Gilbert Lau also rubbished the defence's contention that the man on trial for the two murders, 36-year-old policeman Iskandar Rahmat, had stabbed car workshop owner Tan Boon Sin in self-defence after the 67-year-old came at him with a knife. 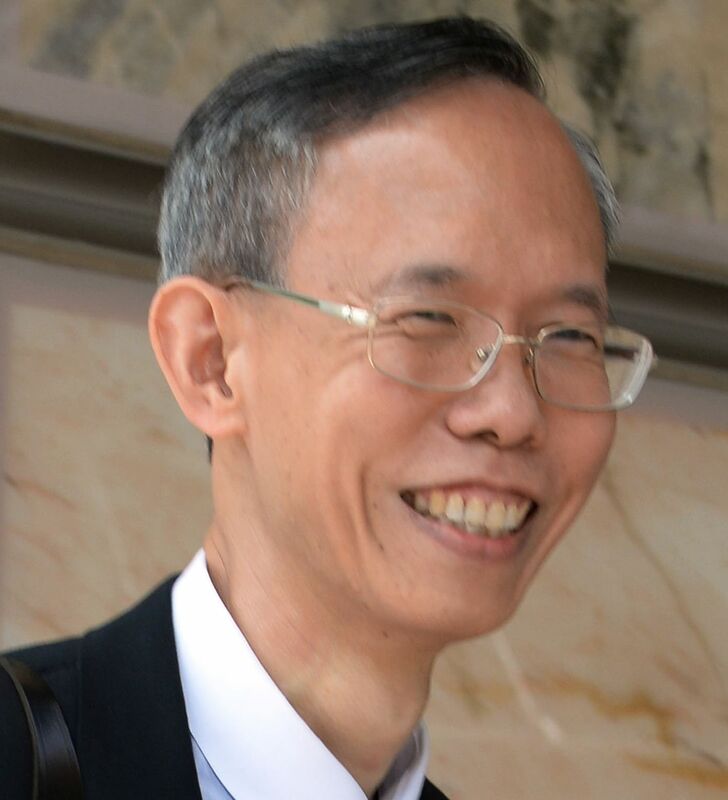 The forensic pathologist was testifying on the third day of Iskandar's trial in the High Court for murdering Mr Tan and his son Chee Heong, 42, on July 10, 2013. Iskandar, who was saddled with debt, is accused of killing both men while carrying out a plan to rob the older Mr Tan at his Hillside Drive terraced house. Yesterday, Dr Lau told the court that the older man suffered 12 stab wounds to the neck and chest, the deepest of which was 13cm. Mr Tan also suffered slash wounds on the neck, head and chest, including the fatal one across the front of his neck. He also had defensive injuries on his fingers. Stabbings are just so dynamic. Various injuries could have been inflicted in various ways. It is very difficult to determine the precise sequence... it may be possible on CSI, but not in real life. Mr Shashi's proposition is that, on the day in question, it was the late Tan Boon Sin who had first thrust a knife at the accused, who at the time was allegedly unarmed. If that was the case... I would have conducted an autopsy on his client rather than on Mr Tan Boon Sin. His son suffered seven stab wounds, including the fatal one to his neck, and at least seven slash wounds. He also suffered grazes and lacerations as a result of his body being dragged under a car for a kilometre, from his father's house to Kovan MRT station. Given the severity of the stab to his neck, he was most likely dead or nearly dead by the time his body was dragged, said Dr Lau, who added that the extent of the injuries caused by the dragging was something he had never seen. Referring to a picture of the alleged murder weapon drawn by Iskandar, Deputy Public Prosecutor Lau Wing Yum asked Dr Lau if the depicted knife could have caused the injuries. Dr Lau said it could have caused most of the injuries but, if the drawing was to scale, the 9.2cm blade would not have been able to cause two wounds on the older Mr Tan that were 11cm and 13cm deep. He did not rule out the possibility that two knives had been used, when questioned by defence counsel Shashi Nathan. Mr Nathan suggested a scenario in which the older Mr Tan attacked Iskandar with a knife, and Iskandar took the knife away but slashed Mr Tan because the older man kept coming at him. Dr Lau said that if this were the case, he would be conducting an autopsy on Iskandar instead. "It would really beg the question why the assailant stabbed Mr Tan Boon Sin not once, not twice, not thrice, but a total of 12 times... To me, that would seem quite an excessive form of self-defence," he said. The court also heard that the older Mr Tan had severe osteoarthritis, corroborating the testimony of his wife and fishing buddy. His orthopaedic surgeon Kevin Lee said he walked with a limp and was due for knee surgery. Asked by Deputy Public Prosecutor Prem Raj Prabakaran if Mr Tan could have charged down a flight of stairs, he said: "Not without falling down first." Also taking the stand were two eyewitnesses. A neighbour's maid, Madam Salamah, 28, said the younger Mr Tan staggered out of the house holding his bleeding neck before collapsing behind his father's silver Toyota Camry. She said Iskandar walked around the back of the car and looked at the body before he drove off in the car. Mr Anthony Fabian, 56, the caretaker of a nearby vacant building, saw the younger Mr Tan's body being dragged under the car.